« Turkey Shells Kurds in Syria. I’m all for a leftist international, even one that includes both the center and far left (I consider myself a far leftist, for the record) but I admit, as an American who’s never lived in Europe, I actually am totally ignorant on European political parlance and how feasible this would be in Europe. I also don’t even know most of the people on that list, and don’t understand why they’re a problem. Like why is Julian Assange a problem, or Ada Colau (from what I read on Wikipedia, she seems like a very good person for the left to associate with?)? Or any of those other people? This is an honest question, this is not a challenge, I actually don’t know what the issue is with the people on the list. Sorry if its something painfully obvious and I’m just ignorant. I think getting the new leftist Mexican president on board is an excellent idea, he’s pretty much the last hope for a revived left in Latin America at the moment, since everywhere else is moving to the right and even fascist right (Brazil of course, Argentina, Venezuela, even El Salvador and Nicaragua are, I don’t think I need to detail how ironic that is), but of course, it remains to be seen if he will be any good. I followed the French elections somewhat, and I know it had two leftist candidates, one from the left wing of the Socialist Party, and Melenchon whos always run to the left of the Socialists. Why were they running against each other, from what I understand, they basically were on the same wavelength? Melenchon of course ate Hamon’s lunch and it just served to split the vote. And Hamon left to form his own party anyway, why didn’t he leave to Melenchon’s party? To an American who knows jackshit on French politics, this seems confusing. What’s the deal? Also to explain the “progressive” label, in the US it almost always indicates leftist politics, or really more accurately, center-left politics. However even the “far left” (including Marxists) will call themselves progressives because it’s simply easier and less controversial. The right wing would never in a million years call themselves “progressive” It comes from the “Progressive Movement” that emerged in the late 19th century. It even used to have its own national party, fittingly enough called the “Progressive Party”. Ironically it often was at odds with the Socialist Party, especially Eugene Debs wing, though nowadays many progressives would look up to the early Socialists as examples. If this is not the case in Europe, its kind of odd for a European to pick an American-centric term, maybe Bernie Sanders pushed him to do that to make it appeal to Americans? To say that it does not appeal to European left-wingers is the least you could say! Peter Hennessy invites senior politicians to reflect on their life and times. This week, his guest is Tony Blair, the former prime minister. Blair continually used the expression “Progressive” to describe his politics. The Progressive Alliance (PA) is a political international of social-democratic and progressive political parties and organisations founded on 22 May 2013 in Leipzig, Germany. The alliance was formed as an alternative to the existing Socialist International, of which many of its member parties are former or current members. 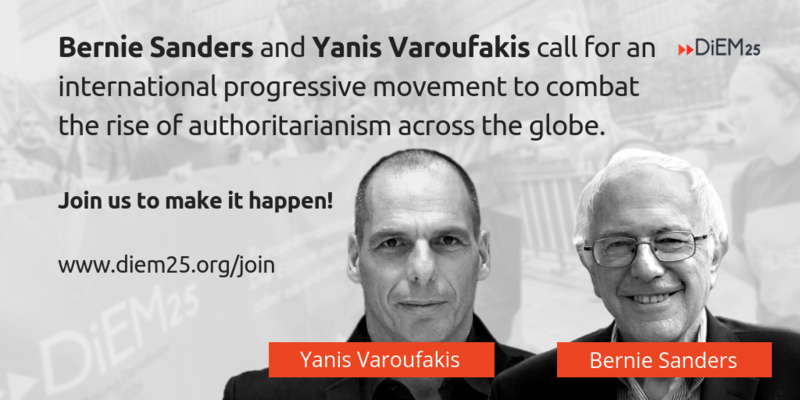 The Progressive Alliance claims 140 participants from around the world. And, in the UK, promoted by well-meaning people going nowhere, as mish-mash of nationalists (SNP, Plaid Cymru), Greens, and, inevitably, some (guess who…) in Red Pepper). The idea of a progressive alliance was mooted in the run-up to the 2015 General Election. For example, the phrase was used by Nicola Sturgeon, Scottish National Party leader, Natalie Bennett, Green Party of England & Wales leader, and Leanne Wood, Plaid Cymru leader. The idea was also proposed in the run-up to the 2017 General Election and after the United Kingdom European Union membership referendum, 2016, in which the vote to leave the EU (“Brexit”) was won by a small majority. The concept of building cross-party alliances, with the asserted aim of working together to ensure the best possible future for the people and country, was debated at a public meeting entitled “Post-Brexit Alliance Building” held on 5 July 2016, hosted by Compass. The idea has become linked to opposition to a “hard” Brexit. The idea has been taken up by a number of independent organisations. The concept has not been adopted as official policy by any political party, but the Green Party of England and Wales have pushed for a coordinated top-down and bottom-up approach to the idea. Caroline Lucas, co-leader of the Green Party of England and Wales, argued for multiple local alliances for the best party to oppose the Conservatives and with a focus on bringing in electoral reform. Several grassroots organisations, Facebook groups and twitter accounts have sprung up with similar names and aims, with tactical voting being encouraged. Compass has been reported as coordinating a campaign group called Progressive Alliance. There are no mutually agreed policy aims between the various organisations, but these would likely include electoral reform to change the voting system (e.g. proportional representation). The name itself is somewhat unclear as there is no agreed definition of progressivism in British politics. There are dissenting views on the benefits of such an alliance, and debate as to whether it could make a difference to the electoral outcome. Local campaigns towards standing a single progressive candidate exist in a number of regions, with the Green and Liberal Democrat parties agreeing to stand down candidates in neighbouring constituencies in quid pro quo deals. For example, in South West Surrey the National Health Action Party’s Louise Irvine has been selected by public meeting run by the local Compass group to run as a progressive alliance candidate. Thanks for the Wikipedia blurbs, but you didn’t answer my questions (not that you’re obliged to answer obviously), but was curious as to your objections to the list of people backing this alliance. And I guess this alliance seems more aimed at the US, given its label (Progressive just means left wing social democrat here, it doesn’t mean anything you highlighted over here), which is strange because we don’t need any international alliance here, because we’re just one country. Unless they want to ally progressives across North America, which I’d be in favor of. I began with Blair, not a blurb. He uses the term all the time. It is dead in the water. My objections to the list of names would take all day!